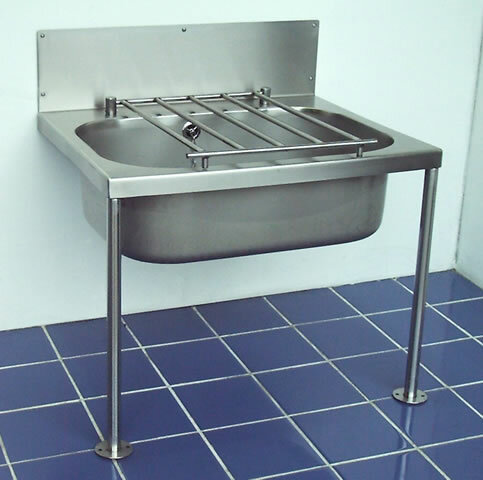 A 304 grade stainless steel cleaners sink designed for heavy duty use, supplied with stainless steel hinged bucket grating, front support legs and a 38mm (1½"BSP) waste/overflow fitting. 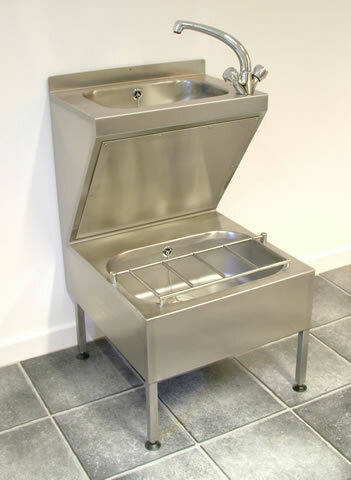 A 304 grade stainless steel Cleaners combination unit providing both hand wash and bucket filling facilities. 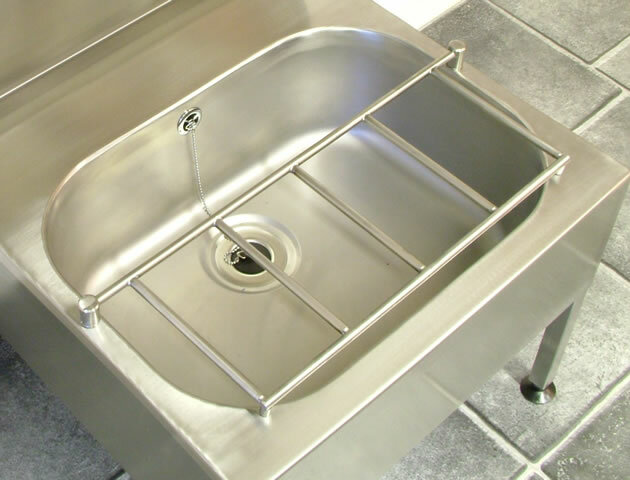 Supplied with a stainless steel hinged grating, a swivel mixer tap, a 32mm (1¼" BSP) waste/overflow fitting to the basin and a 38mm (1½"BSP) waste/overflow fitting to the bucket sink. Delivery time is usually about 7 working days from order, with free packing and carriage to the UK Mainland.